1. Please select the size, color and quantity of robes you would like and add to shopping cart. 2. If ordering a set of robes with different sizes and colors, please add the different color and size of the robe you would like to shopping cart one at a time. 4. Once you are done and ready to check out the cost of shipping will be combined and adjusted according to the quantity of robes ordered. Fits up to 36" in widest part of body (age 8-12); length: 32". ARE YOU LOOKING FOR SPECIFIC SETS OF BRIDAL ROBES? 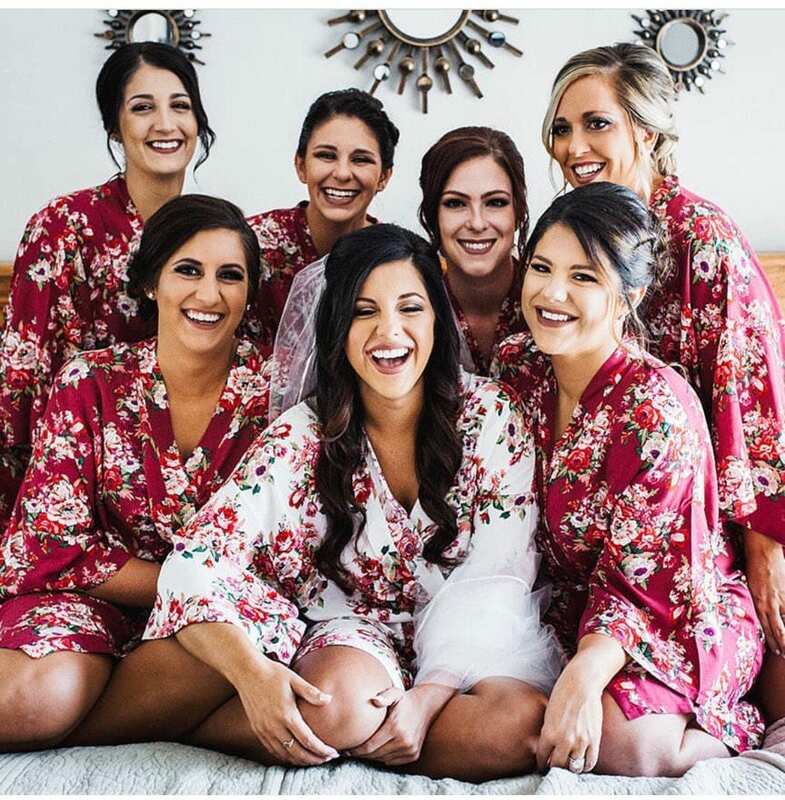 PLEASE CHECK OUT DIFFERENT SETS OF BRIDAL ROBES BELOW AND SAVE ON ROBES AND SHIPPING! Machine wash cold with gentle cycle, hang dry. The robe is perfect. I ordered a plus size for my pregnant sister and it fit perfectly! Very cute pattern and arrived very quickly! It is a bit thin but I honestly don't mind it since it's meant to be a summer robe anyways. Please contact us within 3 days of receiving robes and send them back to us within 7 days. The robe must be in original condition. Our address is the Return Address on the package. For returns, we will refund you the price of the robe, not including original or return shipping. For exchanges, the buyer is responsible for the shipping of the robe back to us. No returns/exchanges will be accepted on personalized robes. Can I Mix and Match Colors in One Order? Sure! Just please list your colors preferences at check out in the note to seller.